Gummed paper label known as"stickerette" or "silent agitator." Logo of ax, pike, and saw. 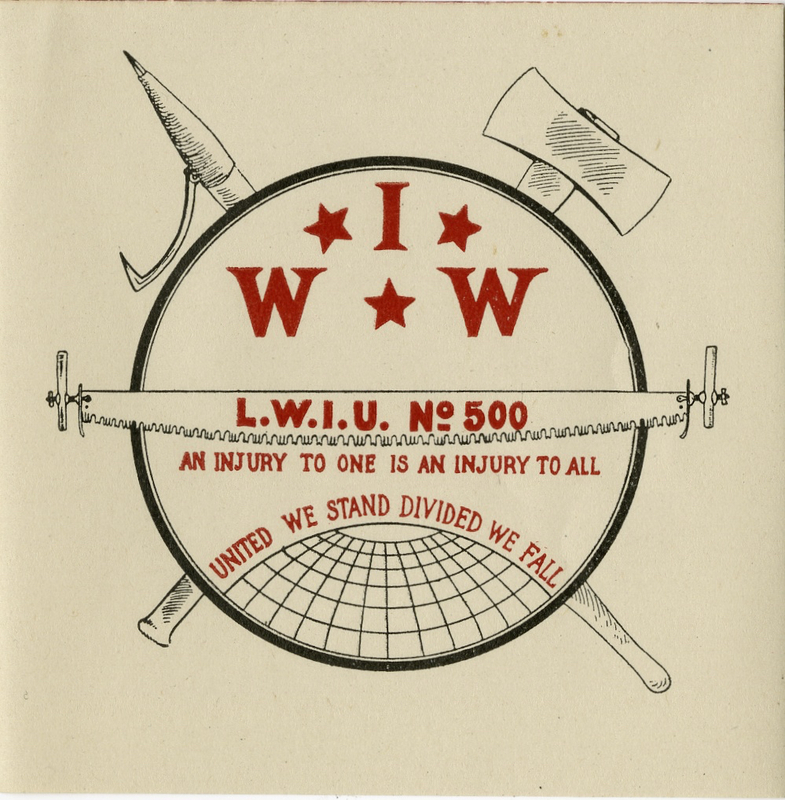 The Lumber Workers Union was renumbered in August 1920 to Union No. 120.